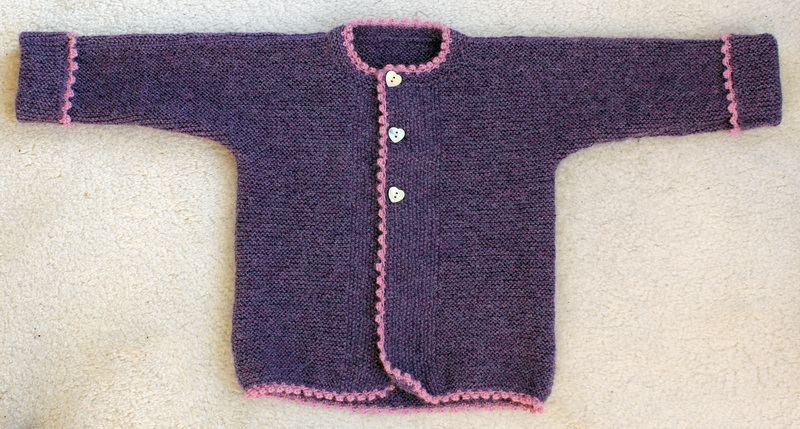 A couple of weeks ago I finished another purple cardigan. It’s just a little bit different than the last one I knitted as it has a moss stitch front panel. 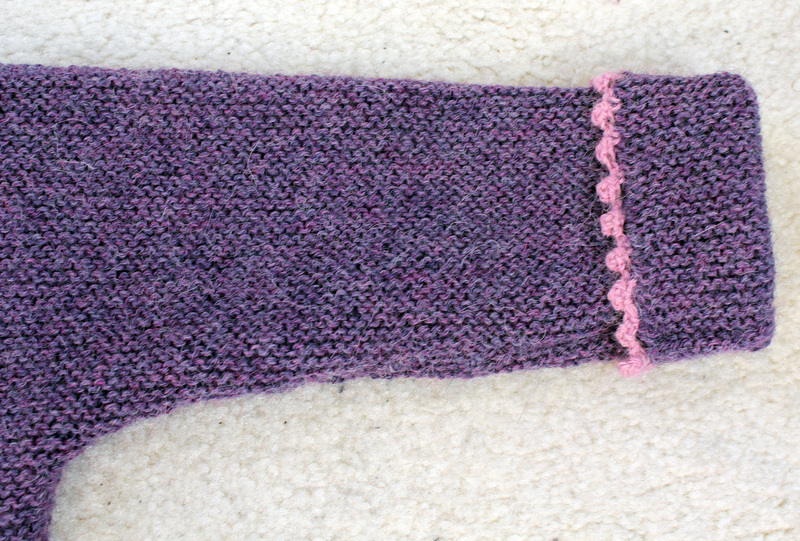 Like the one I knitted before I felt like the garter stitch would never end, but in fact it actually knitted up quicker than before. Maybe it was because Luke was being quite cooperative and I was able to knit a fair amount when he was playing. I do actually love this pattern, I love the fact that the sleeves are folded up as they can then grow with the child who is lucky enough to wear the cardigan. And what do you think of the buttons? These are the ones from my button buying binge…they were just too adorable I thought. 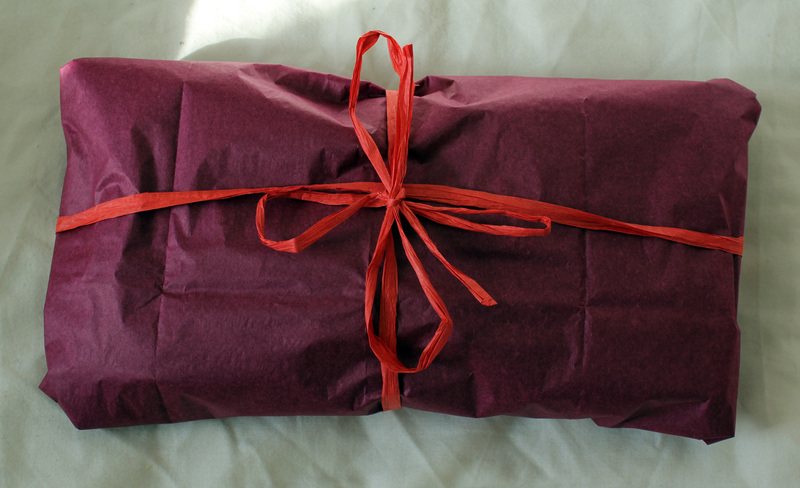 And here it is all wrapped up. 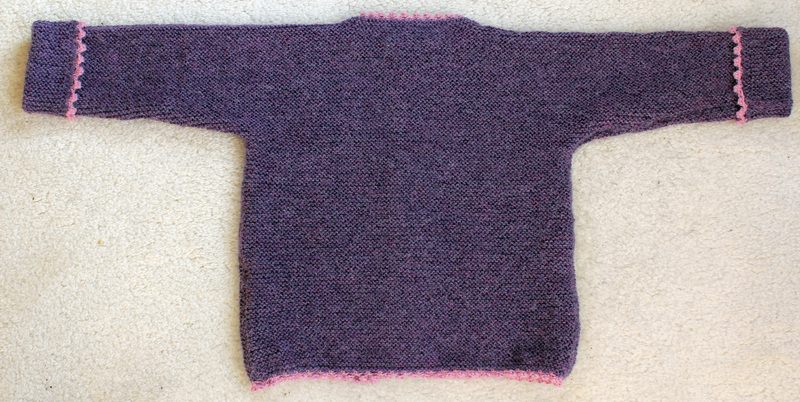 This entry was posted on March 8, 2012 at 10:16 pm and is filed under Baby, Knitting with tags baby girl, cardigan, girl. You can follow any responses to this entry through the RSS 2.0 feed. You can leave a response, or trackback from your own site. That’s so pretty. 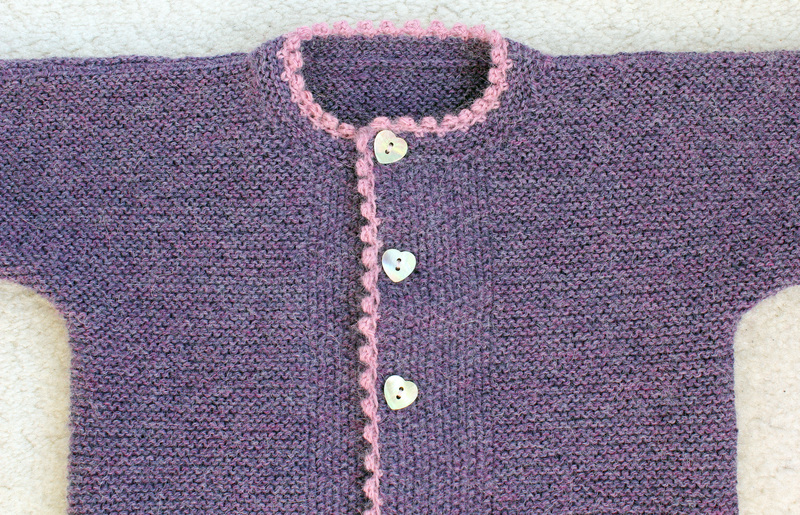 I love the pink around the edge and the heart shaped buttons. Glad you’ve started making a dent in that button stash. 😉 I love that pattern. Really simple, but very cute. the pink edging is just the perfect little feminine touch. So beautiful – what a wonderful job!